Wynwood is a vibrant neighborhood filled with bright artwork, restaurants, breweries, eclectic clothing stores, and dance and club venues. Formerly an industrial district, the area has drastically transformed with colorful murals that cover the walls of many of the buildings. The ever popular Wynwood Walls are at the heart of the district with continuously changing artwork. It is just north of Downtown Miami and adjacent to Edgewater. 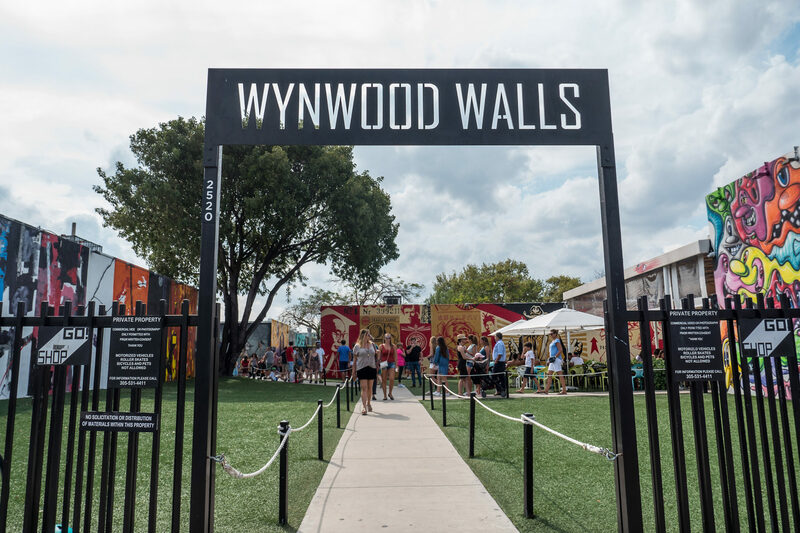 Wynwood has become one of the most popular sites to visit for tourists in the heart of South Miami. It has two major sub-districts, the Wynwood Art District in northern Wynwood, and the Wynwood Fashion District along West 5th Avenue. 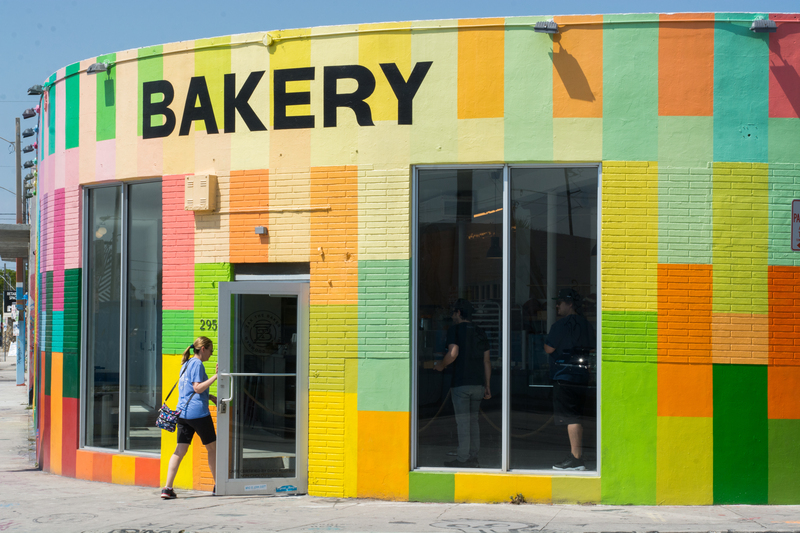 While much of Wynwood was formerly abandoned warehouses the development of the Midtown neighborhood brought attention and focus back to the area with renewed interest in investing in and developing neighboring Wynwood. Since the early 2000’s these warehouses have transformed into artist galleries, restaurants, cafés, and lounges. Developer, Tony Goldman, also assisted in the growth of Wynwood by creating a mecca out of the already present graffiti. 30 artists traveled from around the world to create what is now the Wynwood Walls, leading to major increase in other street art in the surrounding area. Art and fashion are major elements of Wynwood, as Wynwood has a large fashion and textiles industry, primarily along NW 5th Avenue, in the Wynwood Fashion District. If you’re in the mood for something sweet check out Zak the Baker for a delicious danish or croissant of try the out-of-this-world donuts The Salty Donuts. 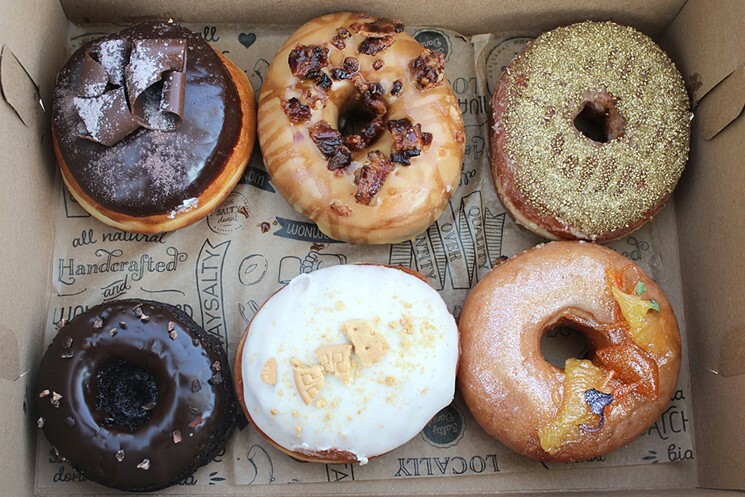 Maple bacon, brown butter + salt, nutella are just a few of the 24 hour raised brioche donut flavors. Some truly unique and one-of-a-kind pieces await in the shops of Wynwood. Intricately designed jewelry, trendy furniture and home decor and fashions you won’t be able to find anywhere else in the world. Soon to be Wynwood Park will have 40,000 square feet of retail space, situated next to the Wynwood Walls will have nearly 1 acre of green space. Stay tuned for further developments. 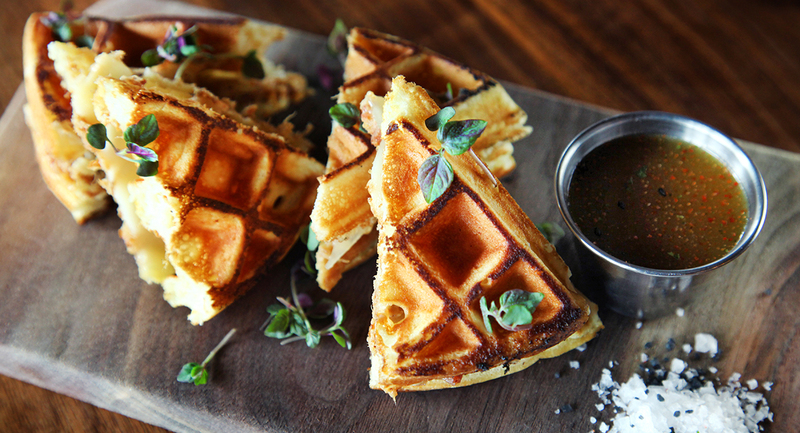 After you enjoy a treat at The Salty Donut and eat your way around Wynwood you may feel it’s time for a workout. Don’t worry, you’re covered. There’s plenty of gym options in the neighborhood. Enjoy group training at Bodytek or really exhaust your muscles at Crossfit. 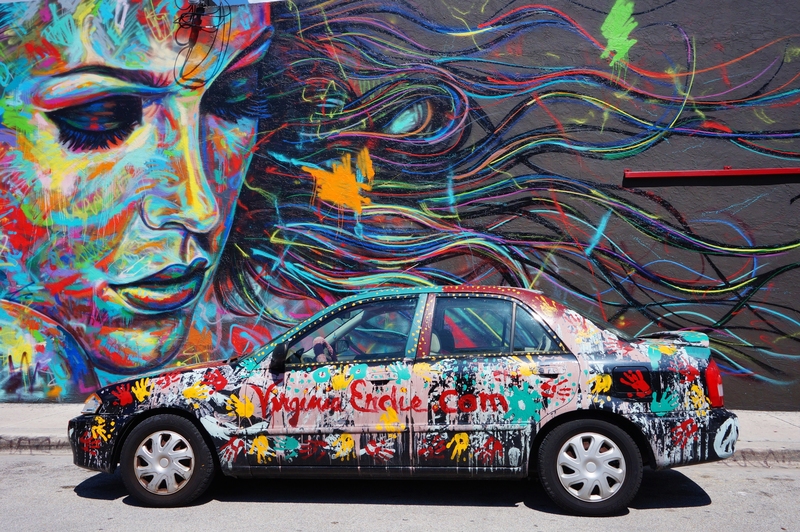 Art is all around you in Wynwood. 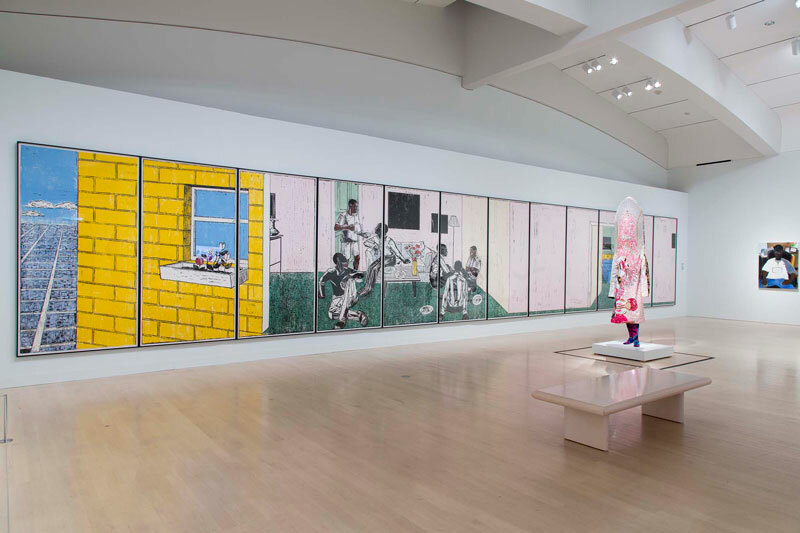 The Rubell Family Collection is filled with traveling contemporary art exhibitions from well-known artists including Jean-Michel Basquiat, Keith Haring, Jeff Koons, Cady Noland, Yayoi Kusama, Cindy Sherman, Kara Walker and more. The Margulies Collection at the Warehouse is a non-profit institution that presents seasonal exhibitions from the collection of renowned collector Martin Z. Margulies as well as educational programs, & special exhibitions and an international loan program. Catch an indie film at this vintage vibe theater. Let O Cinema Wynwood take you into the world of cinema with these first-run films that you aren’t able to find at mainstream theaters.